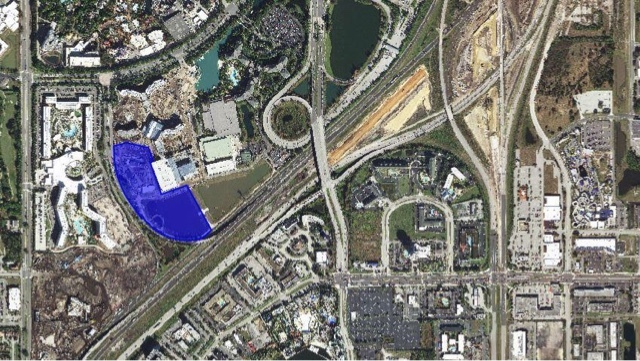 From GrowthSpotter and OU poster GAcoaster, Universal Orlando has filed plans with the City of Orlando to add 600 new rooms south of Sapphire Falls and adjacent to Adventure Way. We previously speculated this could be an expansion to Sapphire Falls, but it is quickly shaping up to be a new hotel. For comparison the Hard Rock Hotel has 650 rooms, Portofino Bay 750 rooms, both Royal Pacific and Sapphire have 1000 rooms, and 1800 rooms at Cabana Bay. The new Cabana Bay towers will each house an additional 200 rooms when they open in 2017. Comparatively, the Four Points by Sheraton in Orlando is a similar design and has 300 rooms. Permit found by TheNJBrandon on Twitter. Our friend Richard Bilboa at Orlando Business Journal reports the new hotel, Project 927, could be called "Aventura Hotel" based on an October 2015 trademark filing. 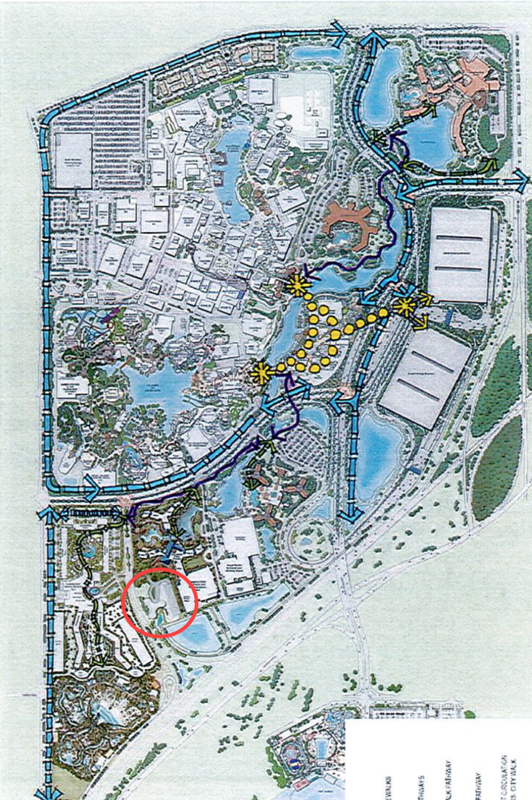 Below is an image provided by Richard and City of Orlando Documents relating to pedestrian walkways, shows the location and possible shape/direction of the hotel. Image courtesy of Orlando Business Journal and the City of Orlando. Based on the name of the hotel it is suspected it'll have a Spanish/Mediterranean theme. Due to the small plot size it's also likely the hotel will be a city style high rise hotel over a parking garage instead of a sprawling resort. 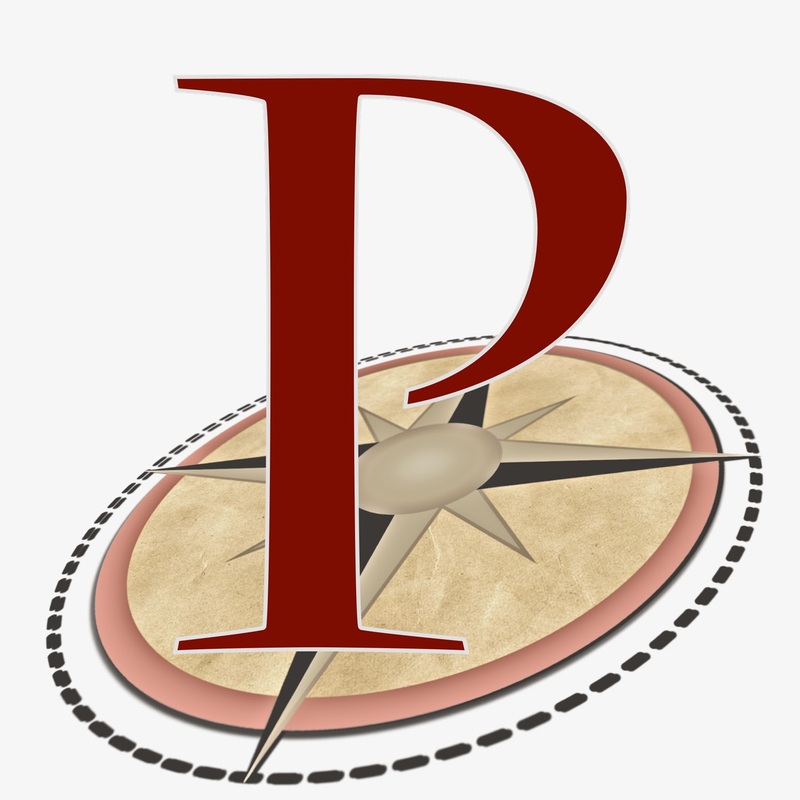 Check out our latest podcast for more speculation and information on the hotel. 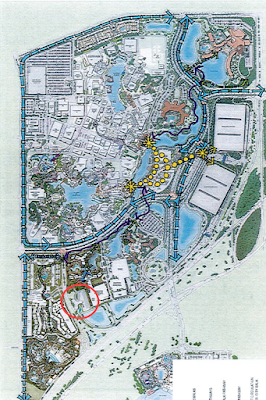 *Update 3 removes speculation on location of hotel near Wet n Wild, notes this is a new hotel and not an expansion of Sapphire Falls, adds sizes of other hotels on UOR property, and adds images and additional information from the Orlando Business Journal. With the opening of the Wizarding World of Harry Potter at Islands of Adventure the next generation of themed entertainment began in the United States. Now three Hogmeads, Diagon Alley, Carsland, Avatar, and Star Wars later it is easy to forget how much the original changed the game. Hogsmeade was on level with only New Orleans Square in terms of leapfrogging the established, stale conventions. The first modern water park, River Country, opened in 1976, themed to an ol' swimmin' hole. In 1977 Wet n Wild opened off International Drive about 20 minutes north of River Country. 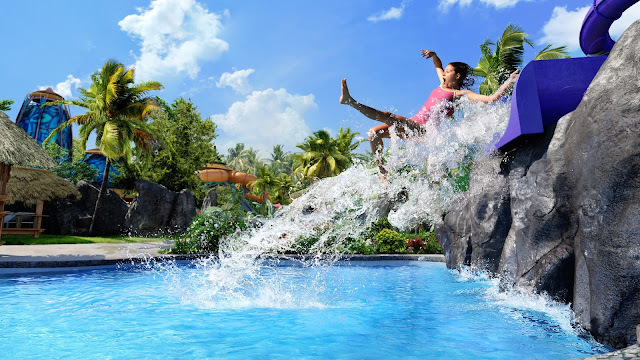 Wet n Wild offered a stripped down water park experience focusing on thrills and slide technology. 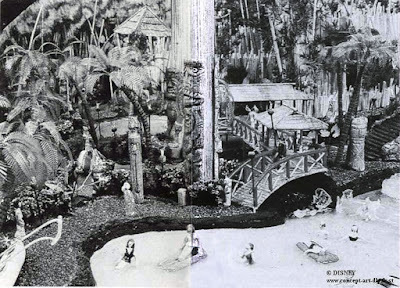 Per Eisner's decree to compete in Orlando, Disney once again upped the game with Typhoon Lagoon (1989) and Blizzard Beach (1995). Large, expansive parks were designed with at the time modern slides and designs like Wet n Wild, but with a cohesive theme and unique visual design. Besides Aquatica in 2008 not much has changed in water parks in the Orlando area; even regional parks like Holiday World and the Schlitterbahn have evolved with mega slide complexes, water coasters, RFID wristbands, and other crazy features. In 1998 Universal Studios Recreation Group (now Universal Parks & Resorts) purchased Wet n Wild from its previous owners. Universal continued to lease the land the park was built upon until buying the land outright in 2013. In 2011 Universal applied for the trademark "WonderSea Island" for a new water park. 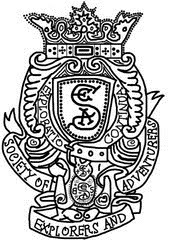 In addition several design patents were filed for such things as projections on sand and other water technology. In 2015 Volcano Bay was finally announced to open south of Cabana Bay while the historic Wet n Wild would to close in December 2016 for future resort development. Where did Volcano Bay's ideas come from and what sort of advancements are we looking at? Volcano Bay started... at Disneyland Paris. No joke. Concept art copyright The Walt Disney Company. Image from Disney and More. Thierry Coup worked with Walt Disney Imagineering in the 90s at Disneyland Paris and one of the projects developed at that time was Lava Lagoon, an indoor/outdoor water park for the resort. A giant Hawaiian volcano would rise up in the middle of the park and the park would blend Tiki, south Pacific, and more tropical themes into one. Read the great post by Disney and More for more information and amazing concept art. The concept of Volcano Bay, and WonderSea, started in Disneyland Paris and morphed over the years as the themed entertainment industry evolved. Large slides with single tubes at a swimming hole gave way to multi-passenger rafts in bowls, up steep walls, and propelled by electromagnets. "To help shape our vision, we traveled around the world visiting water parks and tropical resorts. We went to Bali, the Middle East, Europe and all across the United States. And from there, we started designing what we wanted Volcano Bay to be." Universal Creative traveled to tropic resorts and water park throughout the world to find the best experiences and slides to create a world class park. The volcano and surrounding villages are the home to the Waturi, a fictional south Pacific island culture (and a reference to Joe vs the Volcano, a joke I expect not to die anytime soon with me). According to the Waturi, "Water is Life. Life is Joy." The themes of relaxation, family, and play are emphasized in the design and marketing language of the parks four lands and 18 attractions. Krakatau is the waterfall clad, water slide housing, 200 feet volcano in the middle of the park. Beyond acting as the weenie for the park during the day, Krakatau will use dramatic lighting to make it appear to spew lava at night. The volcano will house massive caves, what appears to be an observation deck, several body slides, and a top secret attraction "to be revealed at a later date". Using some deduction and inside information, we believe this top secret attraction will be a water coaster similar to Crush n Gusher at Typhoon Lagoon or Mammoth at Holiday World. But what pushes this attraction above all others at Volcano Bay is this attraction will feature dark ride show scenes. While we do not know the plot of the water coaster, imagine if you slowly go through caves and see plant and animal life. Then at the climax of the dark ride scene the Volcano starts to erupt, launching the coaster up and out of the volcano into water coaster like segments inside and outside of the volcano. Other slides in the volcano, like the Ko’okiri Body Plunge, will feature trap door, SkyBox speed slides. Imagine one moment you're standing in an enclosed tube, the next a bottom hatch opens, and then you're plummeting down a 125 foot tall slide at 70 degrees. At the foot of Krakatau is Wave Village, home to the multi-directional wave pool (patented by Universal!) and The Reef, a leisure pool. Wave Village could use technology developed by Universal to make the sand look like lava at night to complement Krakatau's nighttime experience. Several pieces of concept art show large buildings themed to boats which could be the rumored themed restaurants and bars. As Volcano Bay bills itself as a deluxe relaxing destination, it's very likely these locations will be full service restaurants and bars. Yes, us at Parkscope are praying for a Tiki Bar. River Village section of the park is the family section of the park. Runamukka Reef and Tot Tiki Reef are water playgrounds for families with toddlers and younger kids to explore. One of the park's two lazy rivers and two multi-passenger raft slides are located here. 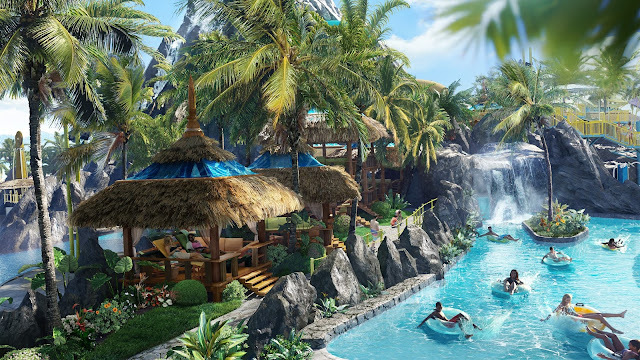 Volcano Bay's theme of relaxation and luxury starts continues here as several cabanas will be built for guests to rent, ranging from one story to two stories. Cabanas at several existing water parks offer guaranteed chairs, shade, and towels but Volcano Bay is expected to match luxury water parks and resorts by offering fridges, water, TVs, couches, and more (see above photo). River Village will also have several food and beverage locations shared with Rainforest Village, to spare guests from hiking it to the front of the park. Concept art copyright Universal Orlando Resort. Volcano Bay will be on par with Typhoon Lagoon and Blizzard beach in terms of theming with large set pieces and incredible rock work. The huge leaps in quality of the park will come from new slide experiences and improved guest services. ProSlide will be providing their speed slides, America's first FlyingSaucer slide, water coasters, wall water slides (see above photo), and SkyBox speed slides. These slides are the latest in technology, with many first for the United States and the Orlando area. 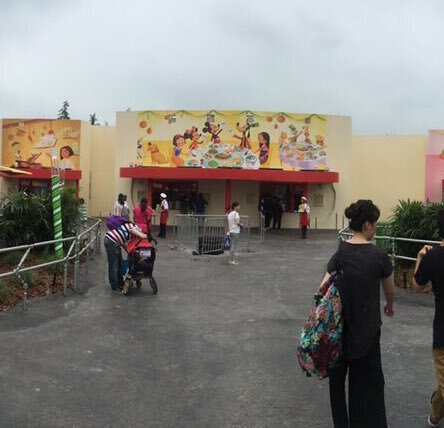 Guests will also find more food and drink options than other parks, with an emphasis on not having to walk to the front of the park to eat and drink. Universal Orlando Resort made an interesting choice to label Volcano Bay as it's third theme park. Walt Disney World does not advertise their water parks as "theme parks" domestically but do so internationally. I believe Universal is attempting to counter the perception the resort has fewer attractions than Walt Disney World because it has fewer theme parks; consider it a modern version of the megahertz myth. 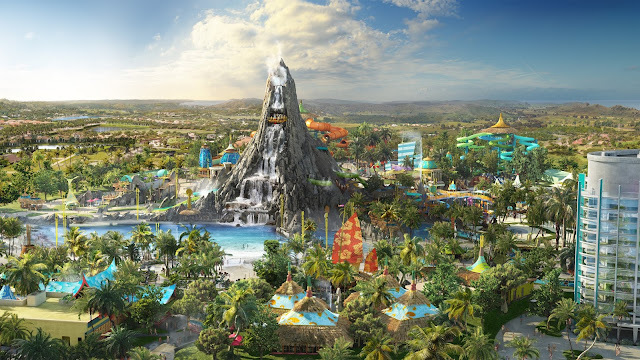 Calling Volcano Bay a third theme park allows the new park opening on the newly acquired land down the road to be call the fourth theme park, bringing perceived attraction parity. Volcano Bay has one expansion pad to add more slides, similar to Typhoon Lagoon's land where Crush n Gusher and new rumored slides are added. While there will be new slides at Volcano Bay before 27 years of operation (side eye Typhoon Lagoon and Blizzard Beach), we do not know what sort of slides would be added. If we think what the next addition could be, we notice that there are not any racing water slides, a fun and popular water park staple. If you're a Universal Orlando Resort guest you can take a tram from the transportation hub, boat to Sapphire Falls, or walk to Volcano Bay. If you drive to Universal the southmost parking garage's lower levels will be turned into Volcano Bay parking only with a tram to the park. Additionally as part of Volcano Bay's opening preparation the entry plaza and toll booths will be reworked for better guest flow. 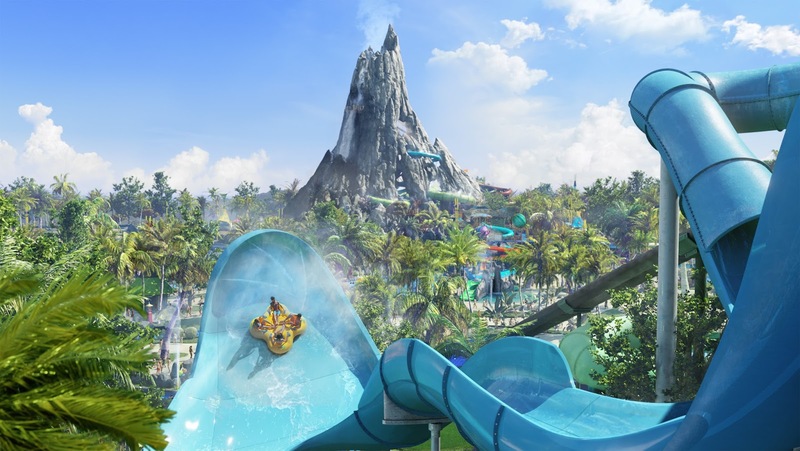 For more information, including slide names and more details, check out Universal Orlando Resort's Volcano Bay site and blog post. We're roughly three months out from the start of Halloween Horror Nights and to kick it off Universal Orlando Resort and Michael Aiello have announced this year's icon: Chance. Photo courtesy and copyright Universal Orlando Resort. Chance, the Harley Quinn-esque side kick to Jack, has been featured in 2007 and 2015's Carnival of Carnage shows. Now she will get the event to herself with a house and scare zone. "For us, Halloween Horror Nights 26 literally takes place where we left off. The aftermath of the carnage is still fresh and Chance finds herself incarcerated for the crimes of last year. With the “Jack in the Box” on an evidence shelf somewhere waiting for someone to turn the crank once more, Chance bides her time within her cell," says Michael Aiello, Director of Creative Development for Entertainment at Universal Orlando in the Universal Orlando Blog post. "So, we have two very distinct states of mind for Chance—as well as two distinct looks. Terror itself, ripped in half… the shockingly real and the grotesquely imagined. This is an evolved Chance taking her rightful place atop Halloween Horror Nights." Additionally, ticket and ExpressPass prices have been released. "Ultimate Fear" is a new ticket option, giving you access to every night of HHN. Thanks to Orlando United user ThemeParks4Life for the pricing and increases from 2015 to 2016. Not much to say. Skull Island: Reign of Kong started technical rehearsals (soft openings) June 9th little after 6pm. Seth Kubersky from TouringPlans posted a great Periscope video of the wait, the queue, and the opening parts of the ride! Joe and Lane start out talking about nighttime Disney's Animal Kingdom before being joined by Mike and then Brian from Orlando to close out the show with some listener questions. Also Mike sanded wood.